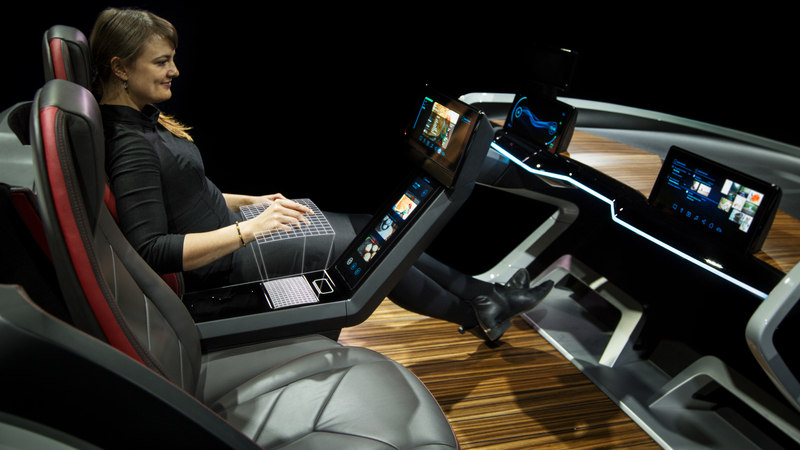 Alongside home and work, connectivity is turning the car into the third living space. With the help of personalized communication between the car and the driver, increasingly high performance and comprehensive services will be safe to operate in the future as well. 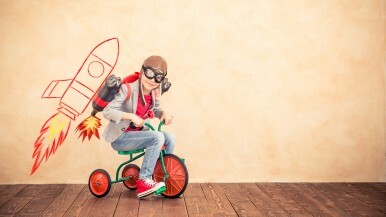 By 2022, the global market for connected mobility is set to grow by almost 25 percent per year. In just a few years, cars will become an active part of the IoT and will be able to communicate with other modes of transportation as well as with the smart home. The car can also be seen as a personal assistant. Automated driving will soon give drivers more time to dedicate to other tasks. For instance, drivers and passengers will be able to use time spent in the car to write e-mails, or entertain themselves with streamed music or videos. At MWC 2017, Bosch is presenting a concept car that shows how different spheres of life will be seamlessly interconnected in the future beyond the vehicle itself. Personalized communication between the car and its driver will also be expanded. The Bosch Forward ShowCar comprises a broad range of innovative technologies: The Driver Monitoring Camera makes face recognition and personalization possible from the moment the driver is in the car. For instance, the car sets the steering wheel, mirrors, interior temperature, and radio station according to the driver’s personal preferences. 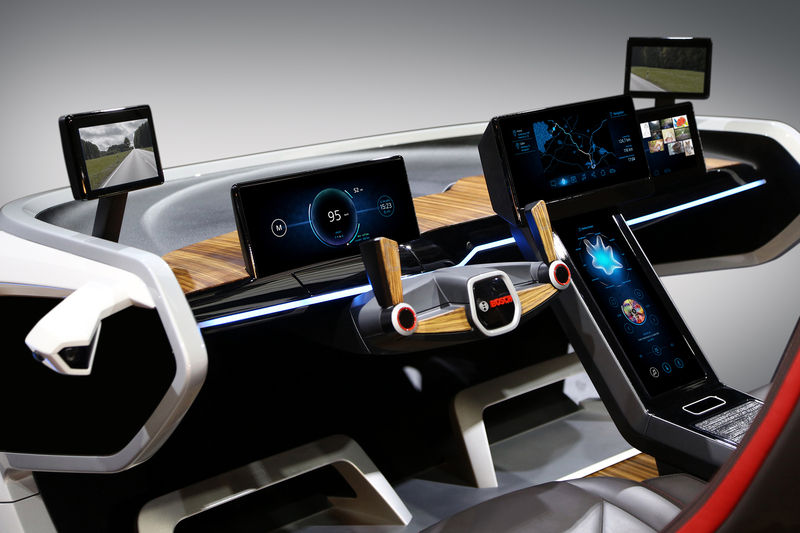 The concept car also includes the first ever gesture control with haptic feedback, that uses ultrasound sensors that sense whether the driver’s hand is in the correct place. Thanks to the touchscreen with haptic feedback, the buttons that appear on the touchscreen feel like real buttons. Drivers can thus keep their eyes on the road, and this improves safety. The Mirror Cam System is a camera-based solution that replaces both exterior mirrors. The video sensors can be integrated into the vehicle interior, and images are shown on displays close to the A-pillars on the right and left sides of the car. New functions are connecting the car to its environment, Bosch is working on the integration of smart services into the vehicle. When communicating with its surroundings, the car also takes on important tasks in the connected city. For instance, with community-based parking, the car is becoming a parking space locator. When driving down the road, the car detects gaps between parked cars with its on-board sensors. 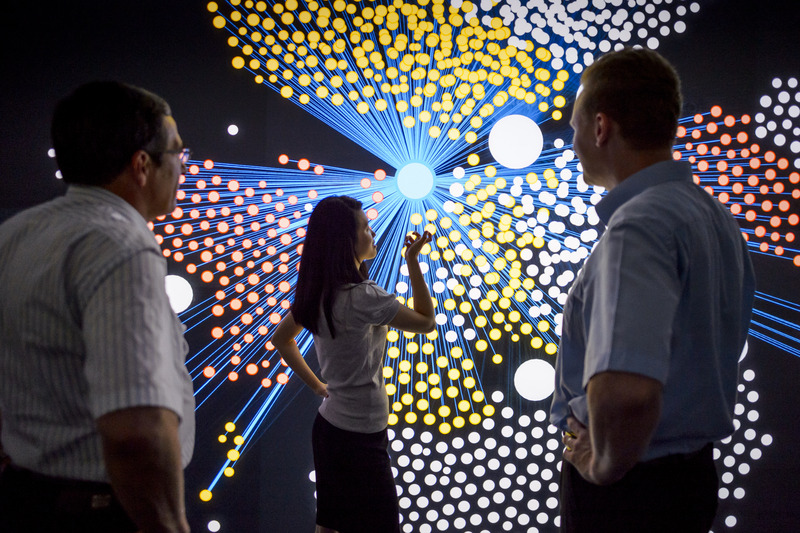 The data gathered is then transmitted to a digital street map. High-performance Bosch algorithms assess the plausibility of the data and make forecasts on the parking spot situation. A cloud-based service that uses this data to create a real-time parking map, saves the driver a great deal of time and money, and also helps reduce stress, as well as traffic, when looking for a parking space. 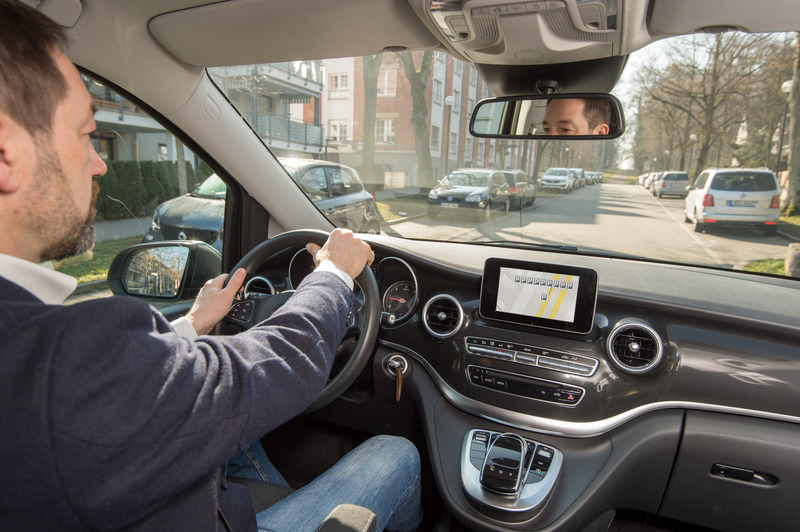 In cooperation with Mercedes-Benz, Bosch is currently testing the community-based parking concept in the city of Stuttgart and in further European cities. Traffic reports about wrong-way drivers are an all-too-familiar occurrence. 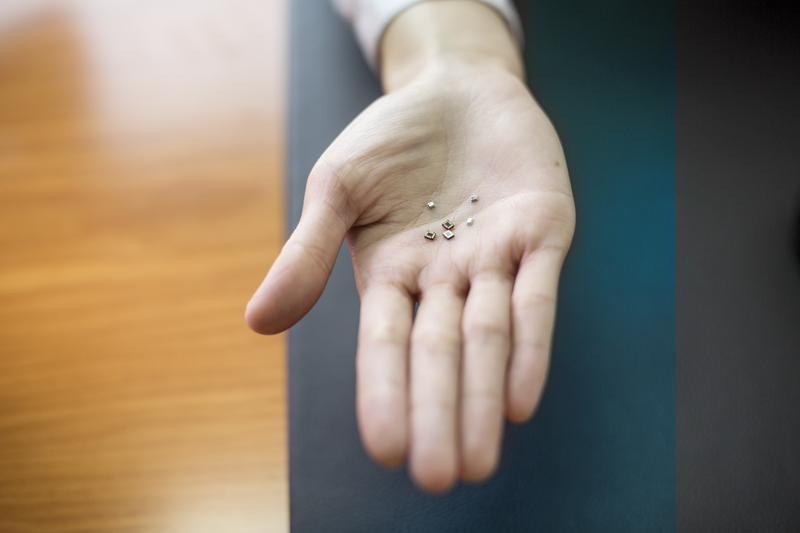 Often, these incidents lead to critical situations, including serious accidents. At present, traffic is warned via the traffic message channel. Here the average time span between receipt of the notification and the broadcast alert is around three and a half to four minutes. However, it takes several minutes for warnings to be broadcasted over the radio, and so the endangered road users are often warned a few decisive minutes too late. The new Bosch cloud-based wrong-way driver warning alerts the driver and the endangered road users within seconds much faster and more precise. To detect wrong-way driving, the algorithm compares when a vehicle is approaching a highway entrance ramp or exit ramp and the vehicle's actual movements with the permitted direction of travel. If the two sets of information clash, the wrong-way driver is alerted to their error. At the same time, drivers of oncoming vehicles are also warned. The function relies on regular, anonymized reporting of each vehicle's position on highway entrances to the cloud. The more connected vehicles there are, the denser the invisible safety net and the more road users can be alerted of wrong-way drivers. The wrong-way driver warning system is available as in-app functionality as a smartphone ver¬sion. This app can be integrated as part of a Software Development Kit (SDK) into pre-existing apps from other partner applications or into automobile manufac¬turers’ infotainment solutions. 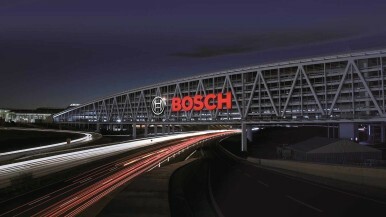 Bosch Automotive Electronics provides the Central Gateway CGW, a hub to make connectivity possible. It ensures communication with all domains across all data buses. Bosch subsidiaries ETAS and ESCRYPT enable fast and secure updating of the vehicle software via the Internet (SOTA/FOTA). While ESCRYPT experts provide holistic security solutions to protect against software manipulation and theft, ETAS embedded experts, with the appropriate architecture and software components, ensure that the updates can be safely and reliably executed - even after numerous updates. In addition, ETAS experts have further developed technologies for application in the automotive sector, which make updates up to seven times faster. Based on many years of automotive, safety and security experience, ETAS and ESCRYPT support vehicle manufacturers in the holistic view of functional safety and automotive cyber-security. 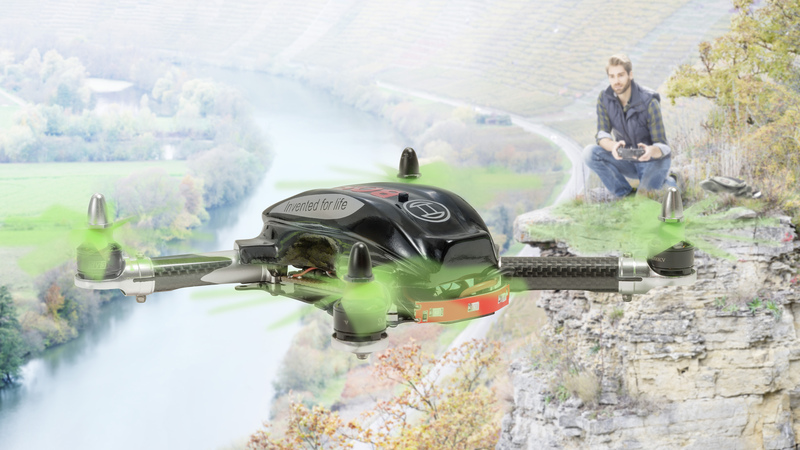 Bosch also focuses on the growing demand for smart connectivity solutions for motorcycles. 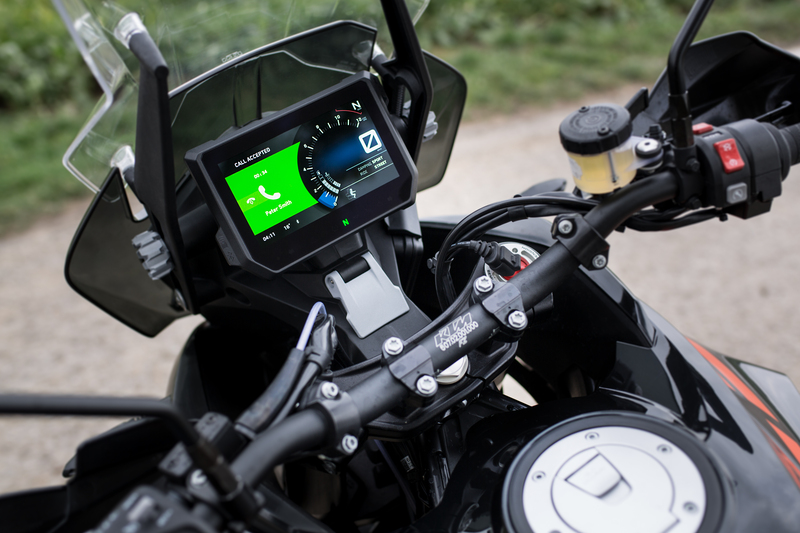 The Integrated Connectivity Cluster (ICC) is a rider information system developed specifically for motorcycles. It features variable display sizes and resolutions and, thanks to the latest technology, is easy to read in all situations. “mySPIN for two wheelers” is a hardware-independent smartphone integration system for motorbikes, eScooters, eBikes and powersports vehicles. It works well with the ICC but can also run on other two wheeler displays. Already available for cars since 2014, this technology has now been adapted for two wheelers, and provides the perfect solution for increased comfort and safety, for example with information about traffic situations, or sharing route preferences with other bikers. mySPIN for two wheelers is compatible with iOS and Android smartphones. 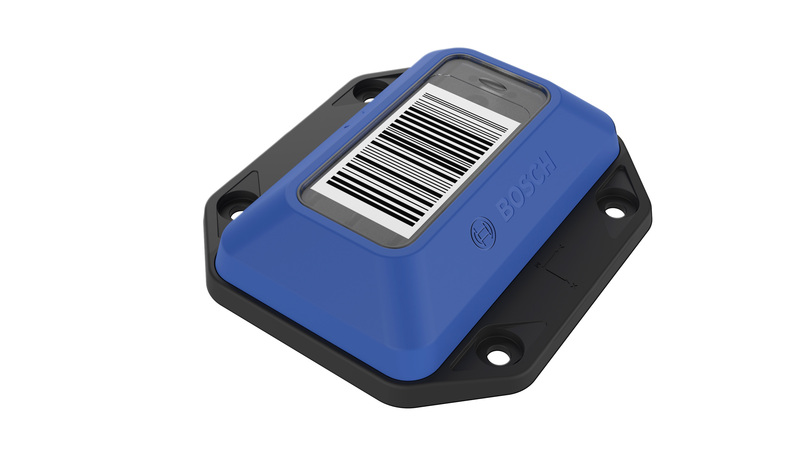 With the Transport Data Logger (TDL) Bosch brings transparency into the entire supply chain. By being attached to the shipment of sensitive industrial goods, e.g. industrial machines, and recording relevant measured parameters such as temperature, humidity, tilt, and shock, the TDL makes the delivery process to be monitored and tracked. These measurements are then documented and visualized through an app for smartphones and tablets. Since the limits of each parameter can be individually configured, any parameter that exceeds its limit is traceable thereby ensuring that each appropriate stage of the supply chain is held accountable. In the event that a parameter exceeds its limit, the TDL provides verifiable proof and reliable indication for possible primary and secondary damage. In the case that no limits are exceeded, the TDL forms the evidence of a carefully conducted and failure-free transport chain. Thus, the TDL provides an added value for every logistical situation. 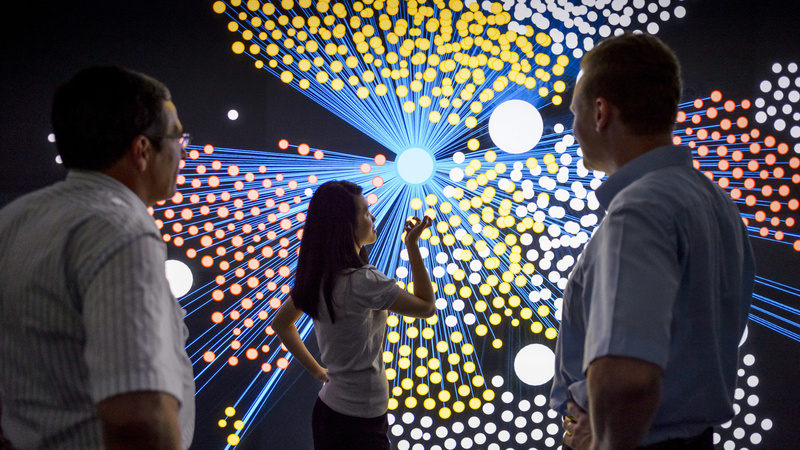 It creates trust and peace of mind between relevant partners and provides important data for the optimization of logistics processes.